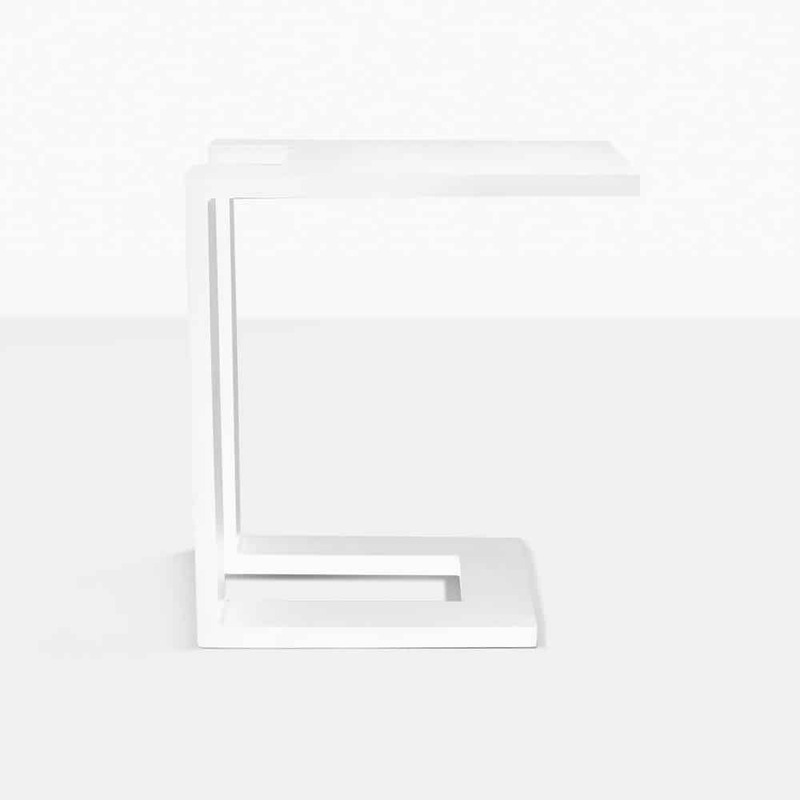 Experience simple, distinguished luxury with the Montgomery Aluminium Side Table in clean White. An elegant ‘c’ shape, the Montgomery Side Table is the perfect choice for adding a touch of modern embellishment to any setting. Wanting to relax in style with easily accessible drink, snacks, and reading material? Then this is the table for you! Make Montgomery the focus of your outdoor area with these stunning White Aluminium Side Tables alongside the corresponding Montgomery Aluminium Sun Lounger. Line them up along your poolside or veranda for a look that is clean, cohesive comfortable and oh-so-chic! All you need is a great book, a lovely cool drink, some good pals and relaxation is moments away! Add this gorgeous Montgomery Side Table to your Amalfi or Cabo Teak Deep Seating set for a refined, stylish mix of materials, or bring it indoors for something a little different in your living room! 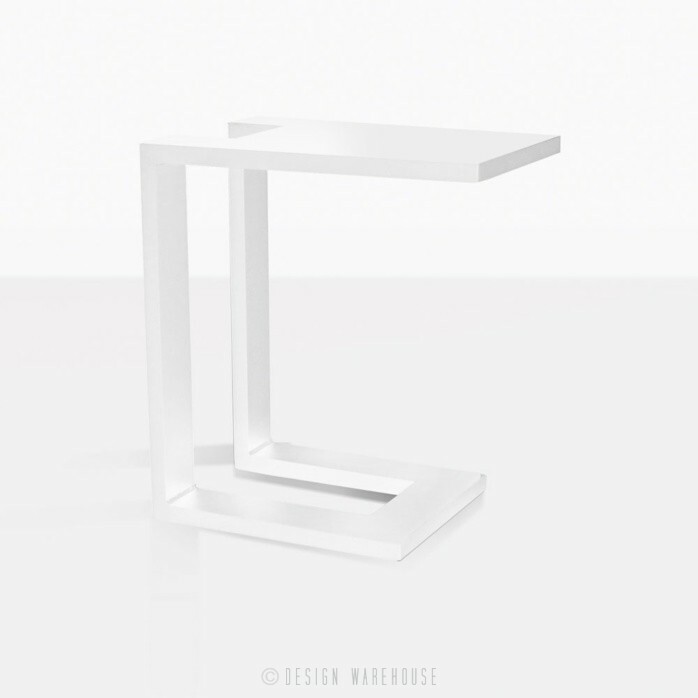 Whatever you choose, we know that you’ll be impressed by this modern side table from Design Warehouse. 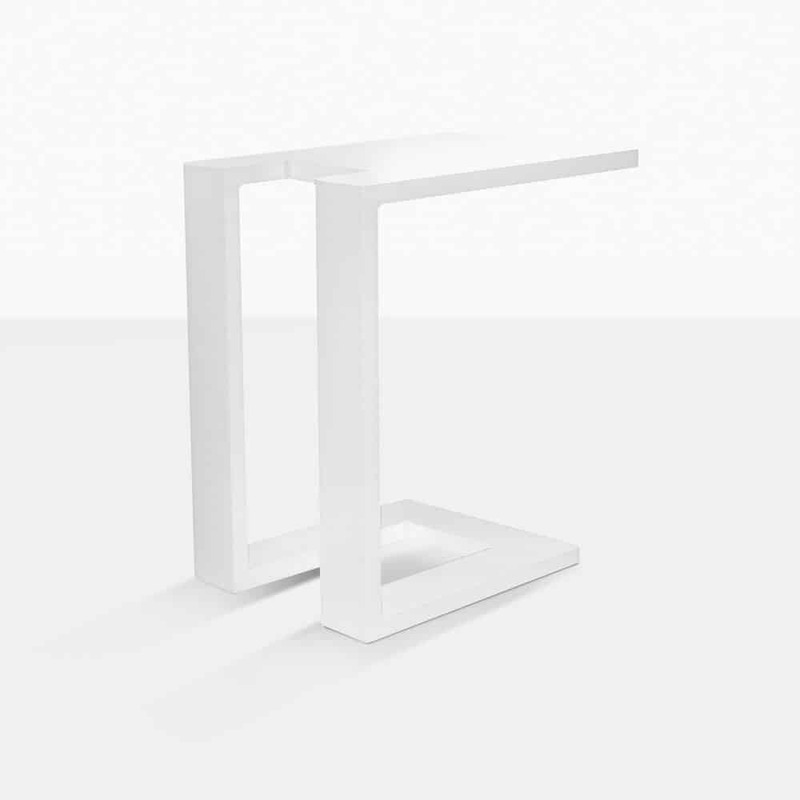 Made from strong, high performance powder coated aluminium in pure white, the Montgomery Side Table is built to last, ensuring that is protected from most of the elements harsh conditions, and keeping the piece looking glorious, long after purchase. Design Warehouse is at the forefront of all things outdoors, we have everything you need to create an outdoor living area that is unique to you. We cater to big businesses as well as the public. All our products are at wholesale prices, so get ready to witness the astonishing range of Side Tables, Dining Furniture, Sun Loungers, Deep Seating, Planters, Accessories and Sun Umbrellas, built on site with extraordinary high quality materials. 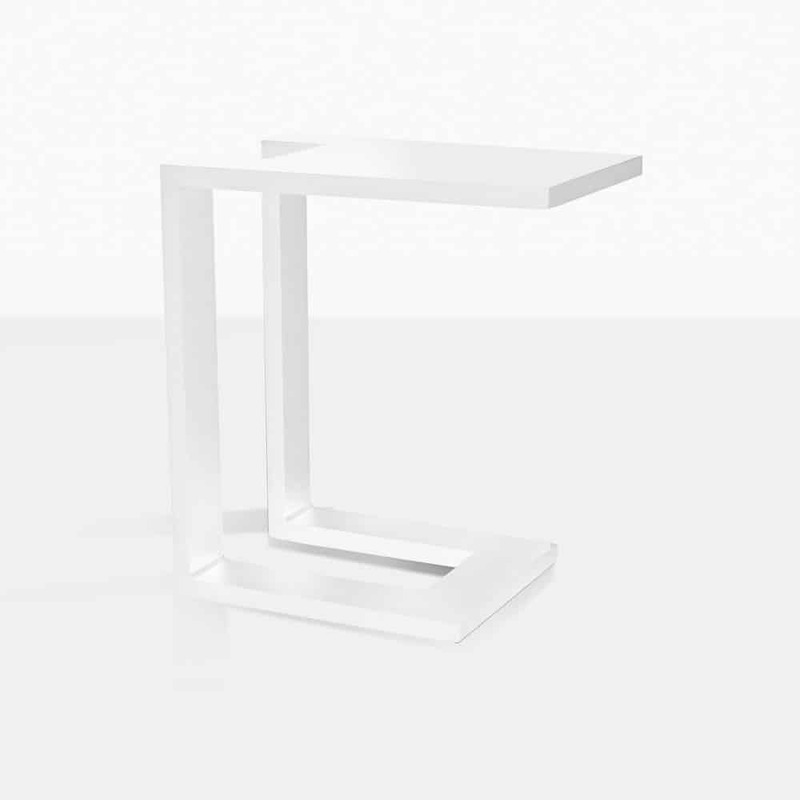 To order your Montgomery Aluminium Side Table in White, call us today! We are happy to organise a quote including delivery so that your outdoor area is furnished asap!